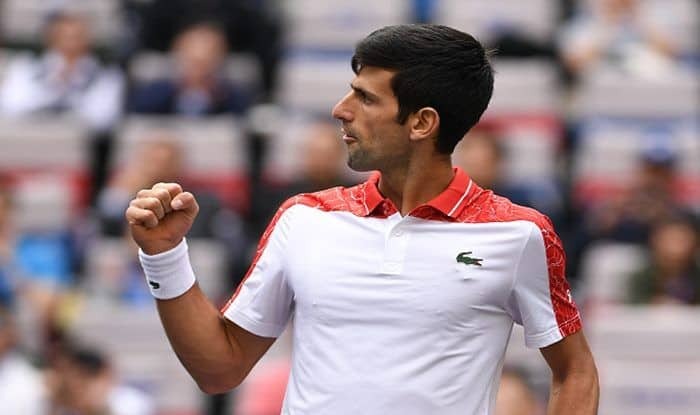 Top-seed Novak Djokovic decimated Canadian teen Denis Shapovalov in a third-round showdown in Melbourne on Saturday at the Australian Open. The six-time champion wrapped up the match 6-3, 6-4, 4-6, 6-0 to advance to the last 16, reports Efe news. “I just tried to stay in the moment and weather the storm,” Djokovic said of unexpectedly dropping the third set. “Denis played well toward the end of the third, I made some unforced errors. He showed some quality and showed why he’s going to be one we’ll be seeing in the future,” he added. He collected 33 unforced errors during the match, against Shapovalov’s 57. “I like the fact that I was tested because you want to be tested, especially as you are improving, kind of going along in the tournament,” Djokovic said after the match. “Matches and opponents are going to get tougher,” he added.